SWEET POTATO GRATIN — Two kinds of potatoes, cream and two cheeses come together in this delicious potato side dish. I’m a huge fan of sweet potatoes, but the rest of my family doesn’t generally care for them (crazy!). Enter this Sweet Potato Gratin. My family devoured it and I didn’t hear one complaint about the sweet potatoes. Except for my youngest, no one in my family even likes sweet potato fries. Seriously. But sometimes, I just go right ahead and buy them, thinking there must be a way to serve them up that everyone will love. Well let me tell you, this was it! In fact, they commented through the entire meal about how good it was. I think the combination of sweet and Russett potatoes in this dish helped win them over. 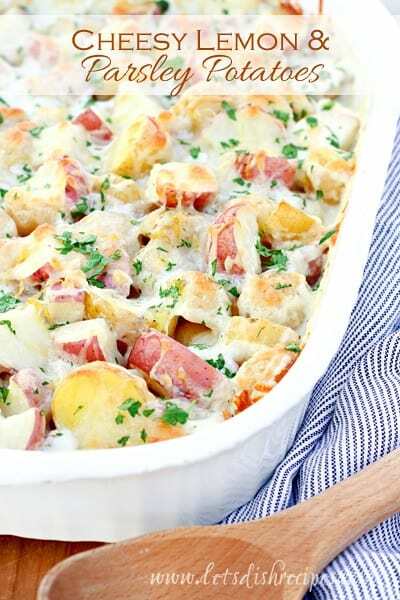 The cream and cheese bake up into a delicious, bubbly sauce that’s lick your plate good! I’m sure you could use a different cheese in place of the Gruyere, but I must say, it was an absolutely perfect choice for this dish. I’ve already added this dish to my Thanksgiving menu. 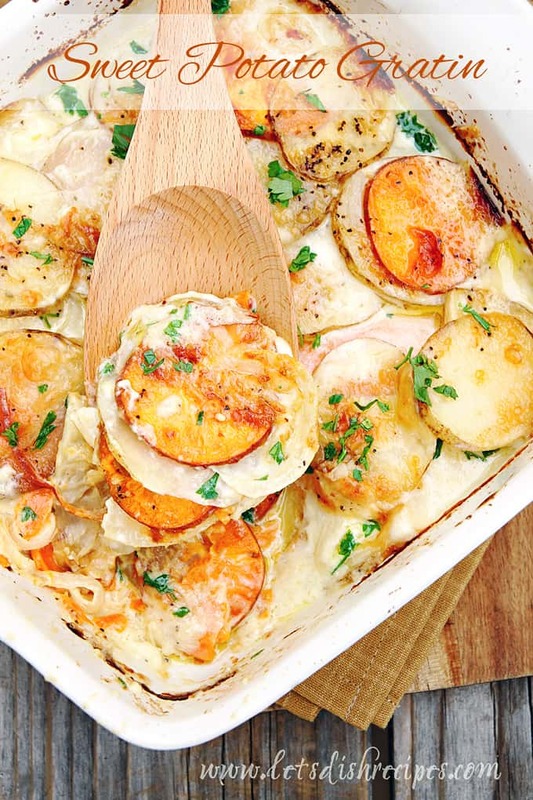 Be sure to save this Sweet Potato Gratin recipe to your favorite Pinterest board for later. 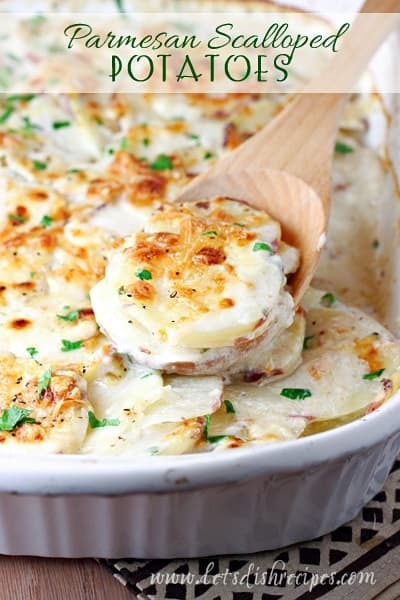 Two kinds of potatoes, cream and two cheeses come together in this delicious potato side dish. Preheat oven to 400 degrees. Lightly grease a 9×13 inch baking dish. 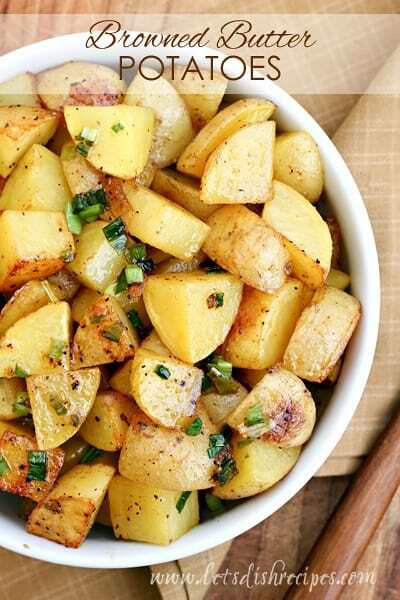 In a large bowl, toss together sliced potatoes, slice onion, 1 cup of the cream and the salt and pepper. Layer half of the potatoes in the bottom of the prepared dish. Top with half of the Gruyere cheese. Layer the rest of the potatoes over the Gruyere, pouring any extra cream from the bowl into the baking dish. Pour the remaining cream over the potatoes. Top with the remaining Gruyere and the Parmesan cheese. Cover with foil and bake for 40 minutes. Uncover and bake 15-20 more minutes, until potatoes are tender and cheese is golden brown. Let stand 5-10 minutes before serving. I love gratins. They’re always a great thing to cook when guests are coming over. They don’t need much attention. Just assemble, put in the oven and away you go to attend to other dishes AND everyone loves them. Great with more formal type meals or your backyard BBQ. Thanks for this one Danelle. Danelle – can this recipe substitute half&half for the full cream? Or do you think that will make the sauce too runny? I’m trying to figure out a way to cut some of the calories from this. Also, your picture seems to have some parsley or something else green, not in the ingredient list. Any suggestions? 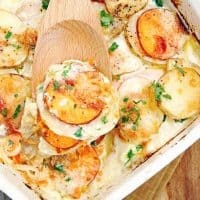 This sweet potato gratin looks delicious, and a nice change of having all regular potatoes. My hubby, who is not a fan of sweet potatoes, will eat this gratin. Thanks Danelle! I love sweet potatoes and this looks like a dynamite recipe. Yes Misty, you can substitute cheeses. I don’t think Gruyere is particularly strong, especially in this recipe, and I am not a fan of goat cheese myself. You could even do a combination of cheeses.